When a vehicle is purchased or when a person wants to apply for its insurance, an inspection of the concerned vehicle is conducted to assess its working condition and any damage or loss that it may have received. It can be due to accidents before finally settling on the various provisions of purchase or the granting of the vehicle’s insurance policy. 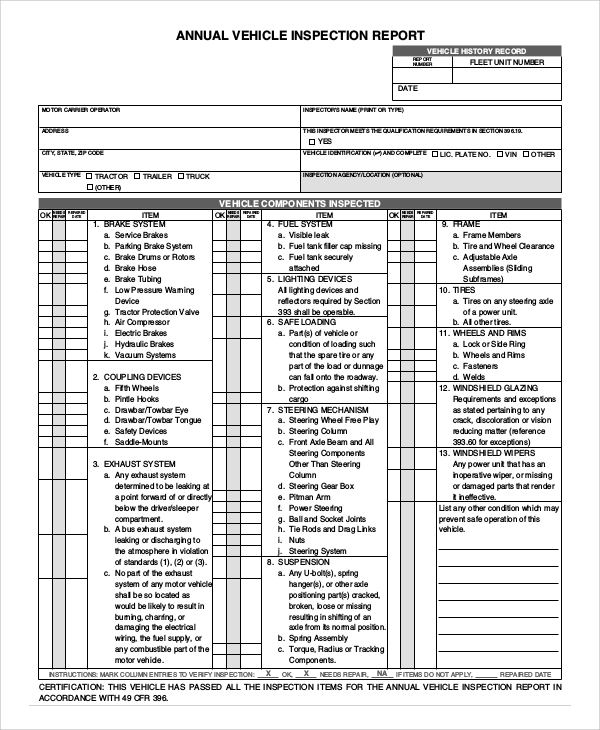 Seeing the significance of such inspection forms, here is a list of various sample forms. When a vehicle is inspected annually as a part of its warranty offer, it is inspected on an annual basis to determine its quality and working condition at the year’s end.You may also see vehicle inspection forms. Before an accredited trip for tourists or other dignitaries, the appointed vehicle is checked as a safety measure, determining how good it is for the purpose of traveling long distances. 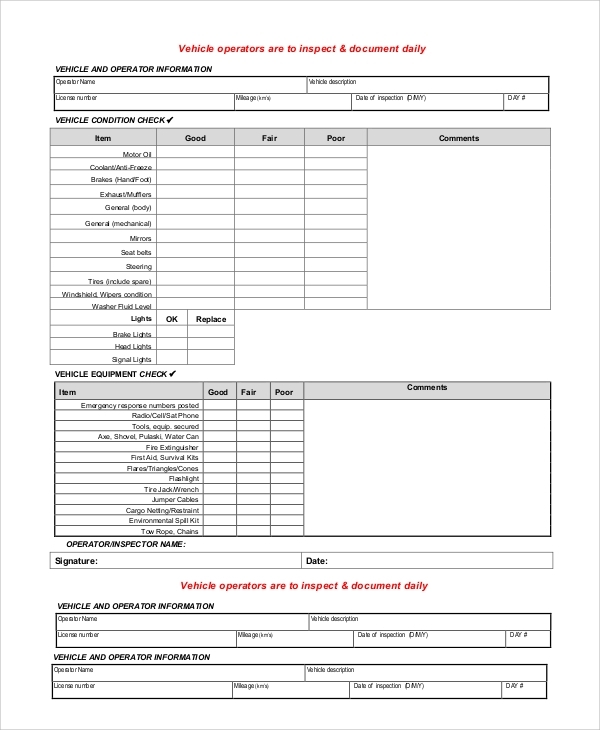 You may also see the vehicle bill of sale form. 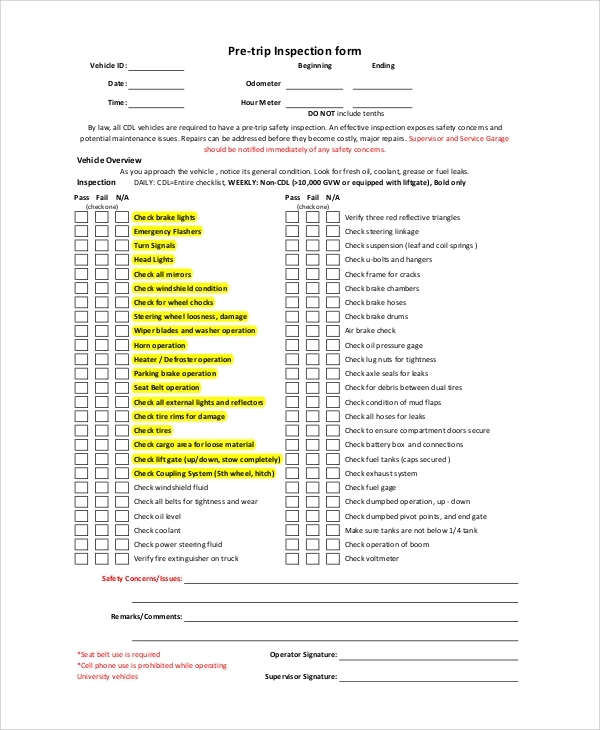 Such forms come in handy while purchasing a car from a dealer or while applying for insurance for the concerned vehicle. 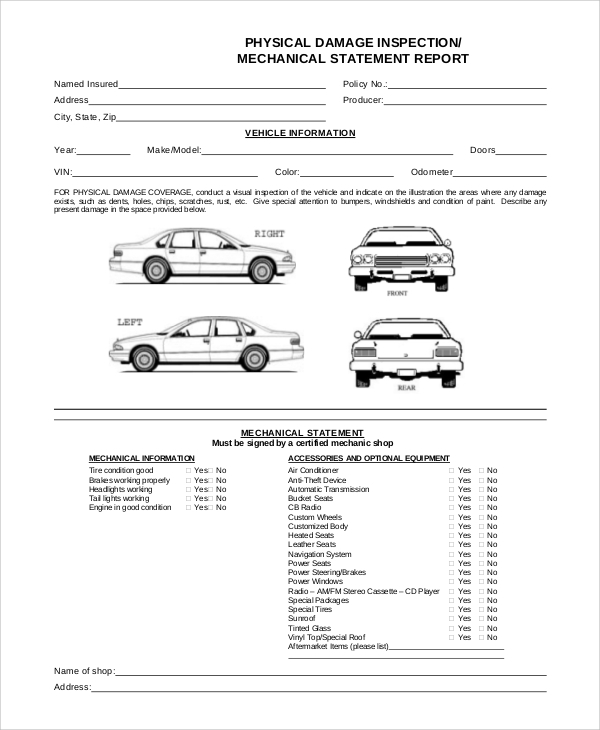 Sometimes, vehicles are inspected to ensure that they remain safe in the event of it carrying a dignitary or when they are used on a daily basis to commute people from one place to another.You may also see vehicle order forms. When a vehicle is used on a daily basis, such as taxis, lorries or waste dispensing vehicles, they are subjected to daily inspection to detect any unseen wear and tear.You may also see service forms. It should also cover the nature and extent of the quality of damage the vehicle in question has sustained and what cost would it take to make it fit for working in a safe manner. 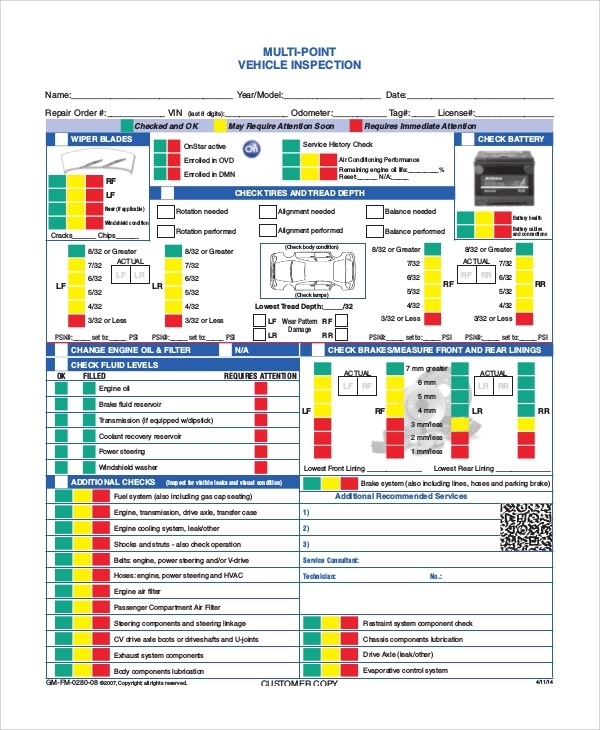 Thus, a knowledge of vehicle inspection forms is a must to certify a car is fit. You may also see the vehicle lease agreement. So what are you waiting for? 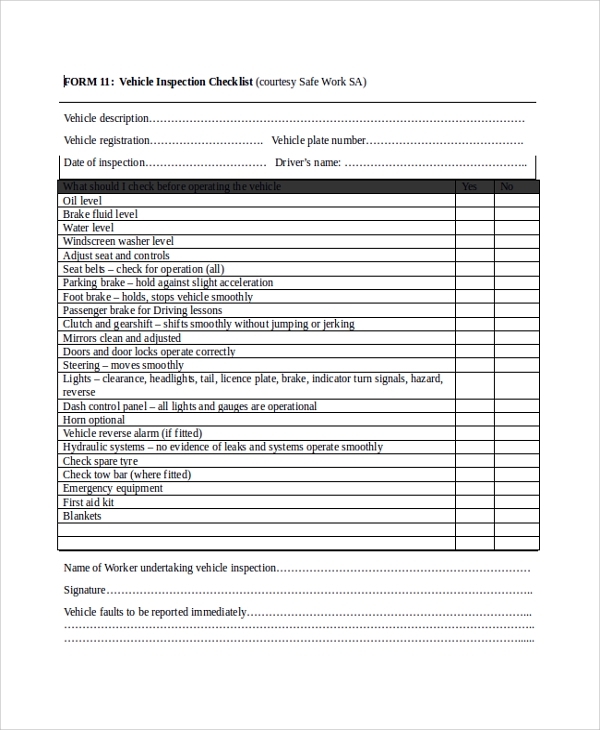 We have an extensive range of sample inspection form templates that can be used to inspect vehicles. 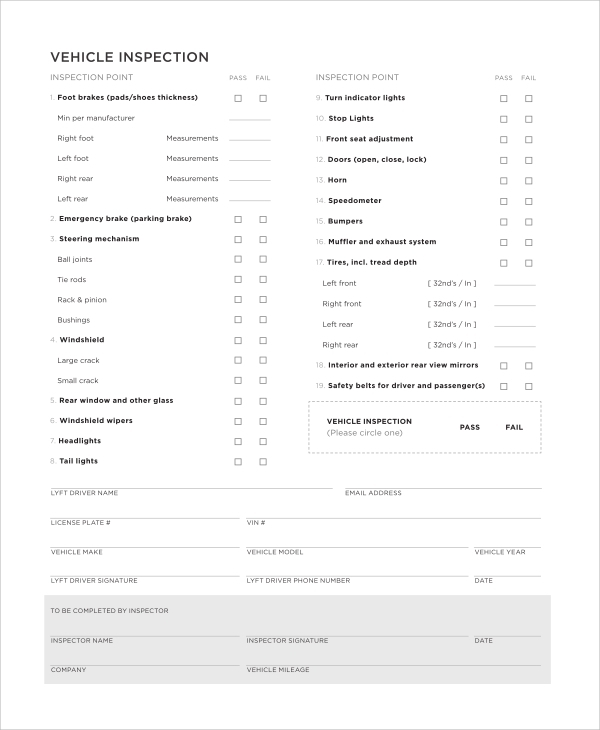 These templates are editable, so you can insert any relevant information which you wish to provide in the form. 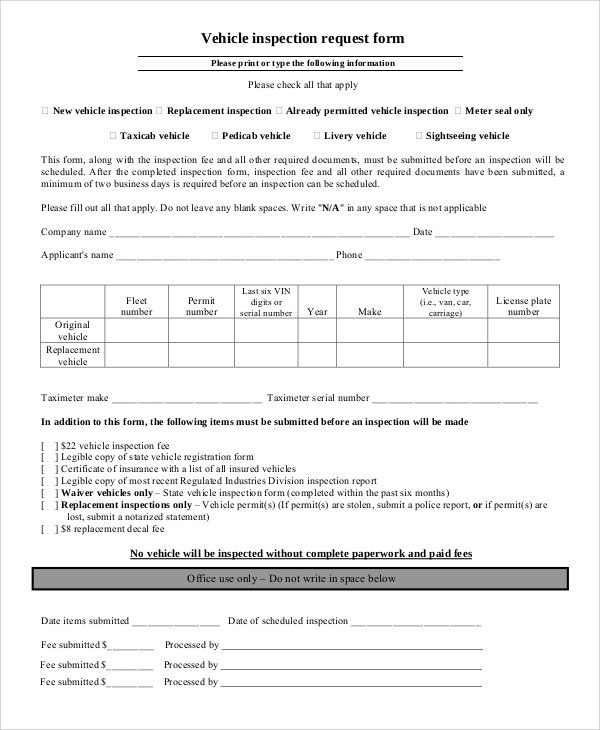 Or, you may use the templates to make your inspection form.You may also see payment forms.